These three players won’t be starting the season with the big club, but that doesn’t mean they’re not worth keeping an eye on. 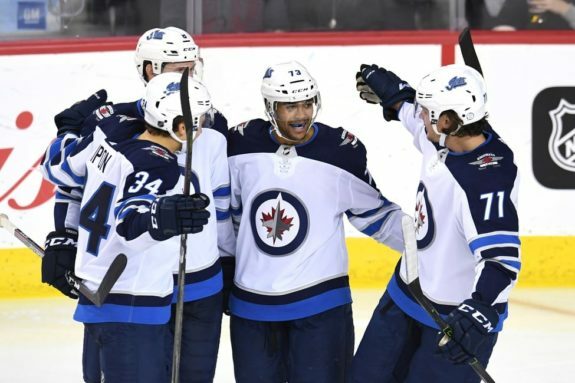 The Winnipeg Jets’ whirlwind preseason allowed them to carry many more players than they usually would have if they had a more traditional schedule. This led to a number of players getting longer looks than they would have otherwise. The following three players, in particular, stood out throughout the Jets’ seven-game schedule and made the most of their extended shots. The Jets signed Griffith to a two-way deal on opening day of free-agent frenzy for AHL scoring depth more than anything else. However, thanks to a strong preseason, Griffith has entered himself onto the list of potential season call-ups and into the conversation as someone who could benefit the NHL squad. Griffith appeared in five preseason games, tallying four assists despite only playing an average of just over seven minutes per game. His versatility in playing centre or wing could give him an advantage over others when it comes to call-ups due to injury. 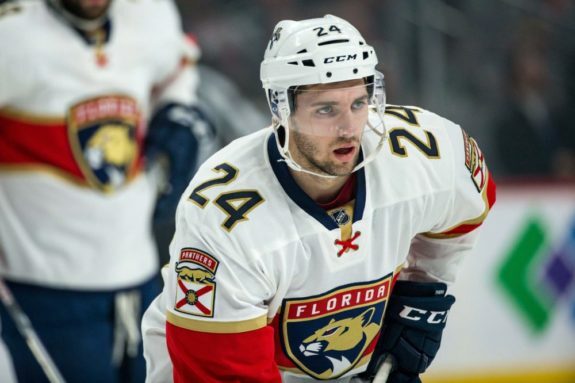 Last year, the 25-year-old spent the majority of his season with the Rochester Americans, putting up 15 goals and 26 assists in 46 games. In 79 career NHL games for four different clubs, he has seven goals and 11 assists. Suess was a bit of an unknown quantity when he came into training camp, known more for his last name (pronounced “Cease,” by the way, not “Seuss” like the beloved children’s book author) than his play. After wrapping up his WCHA career with Minnesota State U in 2017-18, he had a cup of coffee with the Manitoba Moose in the latter part of their season, playing in six regular-season games and three playoff tilts. Suess is now being talked about for his game rather than just his name. In his four preseason appearances, the 24-year-old looked very prepared and showed off a strong, sturdy, well-rounded game. He tallied a goal and added two assists and showed flashes of both the playmaking and scoring ability that translated into 43 points in 40 games for Minnesota State U last season. His cross-ice dish to Skyler McKenzie (more on him later) against the Edmonton Oilers was especially slick. While not huge by any means at 5-foot-11 and 195 pounds, he showed off his hard-working physical side as well. In an interview with Mike McIntyre of the Winnipeg Free Press, Suess described himself as a gritty playmaker who works from the defensive zone out. Suess — who was chosen by the Jets in the fifth round of the 2014 NHL Entry Draft and was known as C.J. Franklin at the time — has perhaps boosted his stock with the organization more than any other player. His experience in college playing against older opponents will serve him well with the Moose this year, where he should be a key contributor at 5-on-5 and on special teams. McKenzie, a 20-year-old out of Sherwood Park, Alberta who’s spent the last four years with the Portland Winterhawks, came into camp and showed why he’s ripped it up with more than 80 points in each of his last two WHL seasons. Mckenzie, who scored 47 goals last year, tallied a pair in his preseason debut against the Edmonton Oilers, which, he said, caused his phone to blow up with congratulatory messages. The left-handed, 5-foot-9 winger scored three goals in four games this September and showed off a number of assets in the process. This included strong hand-eye coordination (two of his goals were nifty tip-ins off of Joe Morrow blue line blasts), a fast first step, and feisty forechecking. A look at his WHL highlight reel lays bare his slick hands, creativity, and explosiveness. #NHLJets GOAL! 🚨 @S_Mckenzie19 tips a point shot from @JMorrow7 to find the back of the net! “He’s got a bit of Matty Perreault in the way he plays,” Paul Maurice said of McKenzie. The coach drew comparisons to the way his both his veteran centre and young winger help the players around them excel and are well-liked by players, coaches, and teammates. McKenzie will cut his teeth with the Moose this year — he actually made his AHL debut in the 2017-18 Calder Cup Playoffs. If his Jets preseason is any indication, he should have an impact. Selected 198th overall in the seventh round of the 2017 NHL Entry Draft, McKenzie could be another late-round steal for the Jets in the vein of Mason Appleton and Sami Niku.